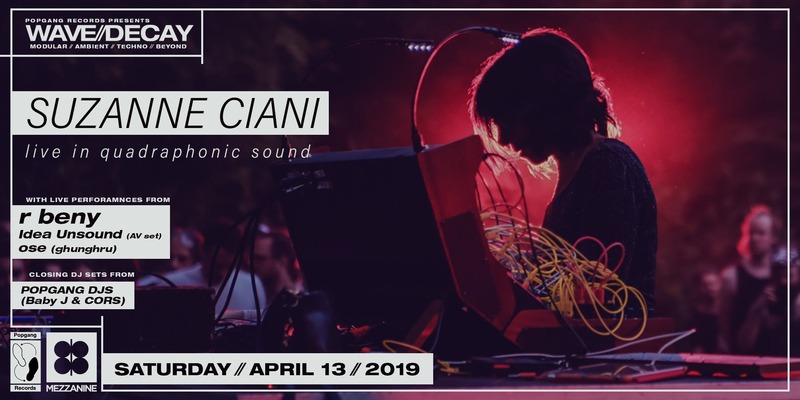 Suzanne Ciani is a composer, recording artist, and pioneer in the field of electronic music and sound design. She is best loved for her fifteen albums of original music which feature her performances in a broad array of expressions: pure electronic, solo piano, piano with orchestra, and piano with jazz ensemble. Her music, renowned for its romantic, healing, and aesthetic qualities has found a rapidly growing international audience, and her performances include numerous benefits for humanitarian causes. Currently, Ciani resides in Northern California where, in 1995, she established her own record label, Seventh Wave. Ciani felt the need to own and control her own creative work. "In many ways, this label represents the culmination of the long journey of my evolution as a recording artist," says Ciani. ?In the eighties and early nineties, in order to finance her recording projects, Ciani brought her expertise to Madison Avenue. Her New York-based commercial production company, Ciani-Musica, Inc., was the leader in the field of sound design and TV spot scoring, creating award-winning music for a host of high profile Fortune 500 clients, including Coca-Cola, Merrill Lynch, AT&T and General Electric. Additionally, Ciani has scored the Lily Tomlin feature 'The Incredible Shrinking Woman,' and 'Mother Teresa', as well as scoring for the TV daytime serial 'One Life to Live'. In the early nineties, Ciani re-located to northern California to concentrate on her artistic career from her sea-side studio. She has toured throughout the United States, Italy, Spain, and Asia. Her many recognitions include five Grammy nominations for Best New Age Album, an INDIE award for Best New Age Album, numerous Clios, a Golden Globe, Keyboard Magazine's "New Age Keyboardist of the Year," and the 2017 Moog Innovation Award.